Media as facilitators of public debate are widely viewed as a key tool for managing the increasing diversity in society. When reporting on arrivals of refugees and migrants to Europe throughout 2015-2016 however, media have played a central role in framing these events as a “crisis”. This perspective contributed to negative and sometimes hostile attitudes amongst the public toward the newcomers. 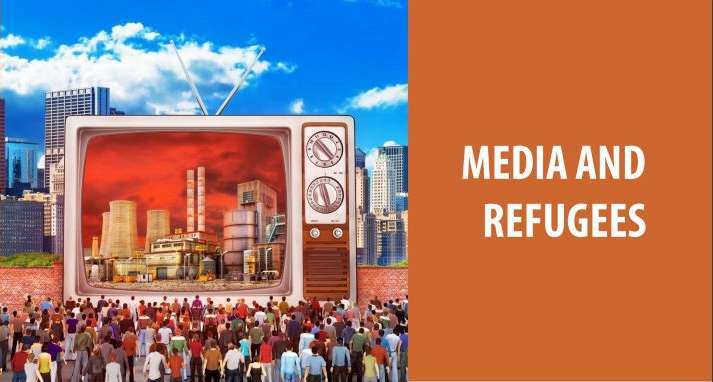 Two recent Council of Europe reports examine the role of media, the expectations and needs in the communication domain of migrants and refugees themselves, and the responses by community media. Mainstream media constitute key and trusted resources for officials and the public to make sense of unfolding events and take appropriate action. Thus, the role of the media is crucial in providing a platform for complex issues to be unpacked, problematised and presented to the public. The European Court of Human Rights has consistently underlined the vital role of the media as a "public watchdog": they impart information and ideas on matters of public interest, and the public also has a right to receive them. As facilitators of public communication and discourse, media are widely viewed as an important tool for managing the increasing diversity in society and promoting inclusion. Click here to read brief overview of the latest Council of Europe activities on media coverage of the "refugee crises".